Director Sathya Prabhas Pinisetty’s Yagavarayinum Naa Kaakka (YNK) is based on a real life incident that the director witnessed on a New Year Day once. Starring and produced by Aadhi, the film revolves around four friends and the team claims that the movie will not be the usual friendship based film. Instead the film shows friendship from a very practical angle. Major part of the film has been shot already with just 20 more days of shooting left. This schedule has been planned to be held in Bombay, Chennai and Taiwan. Hyderabad, Pondy and Goa are the other locations where the film has been shot. Prasan and Praveen have composed songs for the film and there are reportedly 5 numbers in the album. One of them has been shot in Goa and a club song in Film City. The team is also planning a song in Taiwan. We hear that the first half of the movie will have a lot of friendship, romance and comedy and the second half will be packed with thriller elements. 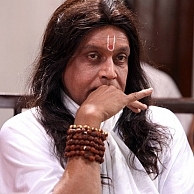 Mithun Chakraborty, Bollywood’s biggest disco icon, ventures into the Tamil industry with this film and Nasser, ‘Aadukalam’ Naren and few others will be seen in supporting roles too. Is Aadhi A Part Of Thala 55? People looking for online information on Adhi, Mithun Chakraborty, Yagavarayinum Naa Kaakka will find this news story useful.